Wild Neon Online Slot: Linking Wilds and Features-Loaded Bonus Round Create Awesome Wins! Wild Neon online slot by Push Gaming showcases classic reel icons as neon light motifs set against a background depicting a Las Vegas-style gambling strip. The 25-payline configurations, the Linking Wilds Feature and a Bonus Round that lets players randomly select one or more win-boosting features, make this real-money betting game well worth the risk. 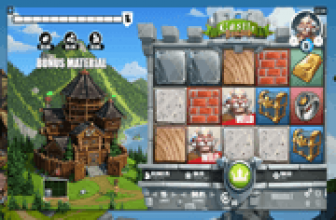 Reels may be filled with Wild Symbols, especially in the free games in which the Linking Wilds work in combination with arbitrarily selected Extra Wild Symbols. Actually, the Free-Spins Round has more to offer, such as a Bonus Win Multiplier, Additional Free-Spins, and Instant Wins! There is a chance that a Bonus Game configured with all multiple win-boosting features possible, would bring unimaginable rewards! Two or more Wilds appearing as outcomes of a paid or bonus spin create additional Wilds. The Linking Feature turns into Wild Symbols all icons positioned in between the two or more emerging Wilds. The result is a strip of multiple Wilds, all posing as eligible substitute icons that can complete groupings of identical images lined up in the same payline as the Linked Wilds. When those Linked Wilds meet with Extra Wilds, they may combine as winning Wild Symbol combination/s. Wild constituted payline wins are the highest, as three, four, or five Wilds grouped in a winning line award 20x, 120x, or 500x the coin bet staked per line. The Extra Wilds though can be activated only during the Wild Neon Free-Spins Round. The Bonus Game Trigger Symbol occurs only in Reels 1, 3 and/or 5. When all three reels display a Bonus Game Symbol after a paid spin, the Bonus Board Panels will then be presented. Wild Neon bonus players may click on any of the six (6) Mystery Panels in order to reveal the win-boosting elements that will optimise the outcomes of a bonus spin. However, only five (5) of those panels unravel a bonus feature, as one contains a prompt to Start the Free-Spins Round. If a player clicks on the prompt ahead of the others, a set of five (5) Free Games launch instantly with only the Linking Wild as win-boosting element in place. • Additional Free-Spins of which up to five (5) may be unraveled. 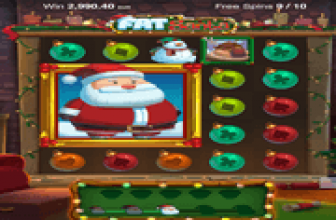 • 2x Bonus Win Multipliers, applying to all reward garnered during the free round, including Instant Wins. It is possible for the Bonus Board Panel to reveal five (5) 2x Win-Multiplier during selections. If so, the bonus-win multiplier for the free round is 10x. • Extra Wild Symbols, represented by the Diamond, 7, Bell, Cherries, and Lemon all highlighted in neon- gold color to distinguish them from their regular images as base-game reel symbols. In the event that one or more of such symbols have been selected as Extra Wilds, those icons also count as Linking Wilds and can connect to any regular Wild Symbol in view. Moreover, all five (5) Extra Wild icons may appear as Mystery Prizes in a single free-spins round. Wild Neon : Linked Wilds, Extra Wilds, and Win-Multiplier All Combine to Bring Amazing Bonus Wins! 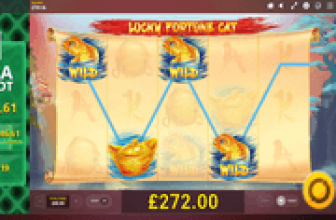 Wild Neon online slot by Push Gaming brings forth an abundance of Wild Symbols through the Linking Wild Feature that transforms into additional Wild icons, all symbols in between 2 or more Wilds. Base Game wins are already awesome, even more so in the bonus round in which the strip of Linked Wilds combine with special icon posing as Extra Wilds. Lucky players who get to unravel Bonus Win Multipliers as well can expect to land on amazing wins!